IOS App Developer: Simple Habit, Inc. I have been doing at least two meditations a day for a little over a week and after the 2nd or 3rd day I could tell a difference in my mood and ability to calm myself down whenever feelings tense or stressed. This is my favorite use of my mobile phone! Be careful with this app an it’s subscriptions! There are many better other apps. Two suggestions: 1) Page for teachers you are following. 2) Playlist on home page or separate page with larger button. I used to love this app but the latest redesign updates the past few weeks have caused the app to crash for me a lot. 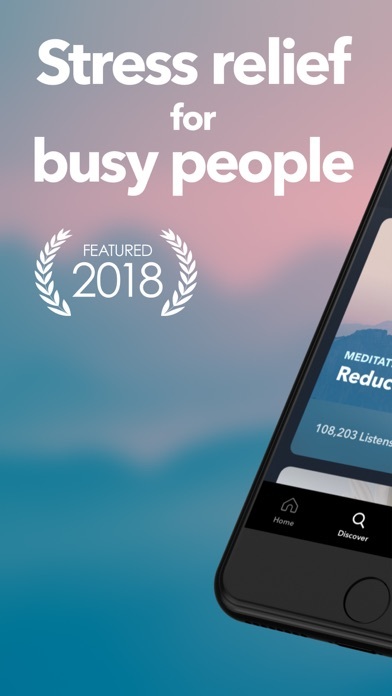 For an app that’s supposed to be about unplugging and meditating, it makes it incredibly annoying to have to keep checking your phone during the middle of a meditation to see whether the person talking has just paused or if the app crashed altogether. Support hasn’t been much help with this either. Why isn’t there an iPad app? You can run the iPhone app on the iPad with 2x sizing but it’s not the same thing. Also still has the annoying bumper music. I know it’s simple habit. You told me 10 times already. 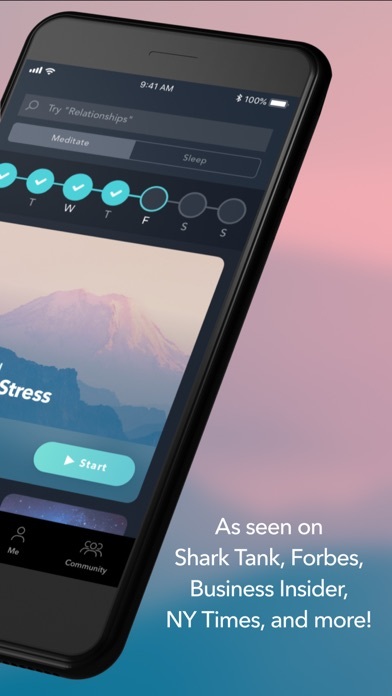 This app is better than Slumber, Calm, Breethe, and Headspace. (Although Headspace is pretty good, too.) For three reasons. 1- THE COMMUNITY! Every one has their own unique name and we can comment on the app and give feedback! As far as i know you can't do that on other apps! Sometimes there are haters but usually they are children. AND there are challenges the community can be apart of AND you can have friends. 2-THE MEMBERSHIP! This is one of the apps that as is much content for non-members but yet you get is much more from membership. You can get 2 WEEKS OF FREE MEMBERSHOP FROM INVITING A FRIEND!!! 3-THE CREATORS! The people who create the meditations all have is much experience! Plus they all have their own profiles and you can follow them! 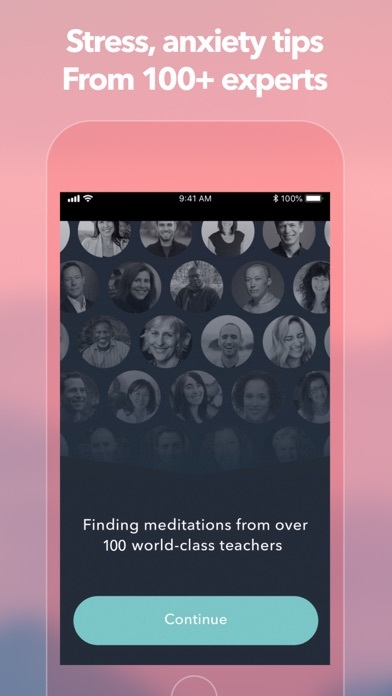 And they can reply to your comments like normal human beings and not random people like in other meditation apps! Thanks for reading my review. It took a long time. Currently glitchy and not worth the money until fixed. This app was fantastic when I first started using it, never had any issues. But now I can hardly get a meditation in or even click on a meditation before it just shuts down and takes you to the home screen. I have updated every time available to see if that would help, it doesn’t. Serious work needs to be done so I can get at least 5min of meditation in. I found out about Simple Habit from Ring of Fire News. It sounded like just what I need. Fortunately, it is. I can see a difference in my mindset and, being addicted to my phone, I keep it with me all the time so using this app is easy and convenient. 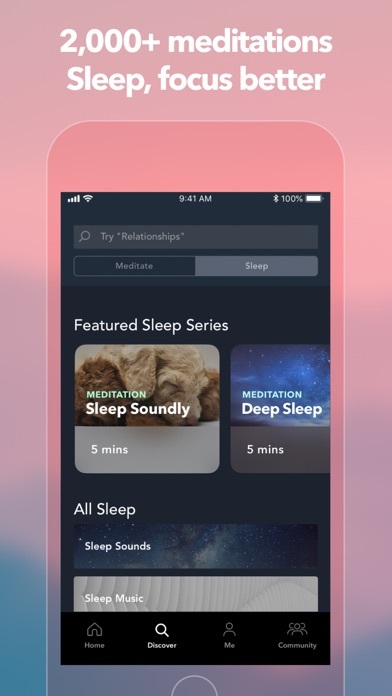 I really need guided meditation and this app finally has me meditating and literally feeling better all around. Right now I am only doing the 5 minute meditations but I plan to go longer as I develop my practice. I found this app when I was scared of an upcoming event but a few days in and I was a lot less anxious and ended up having a lot of fun at the event! 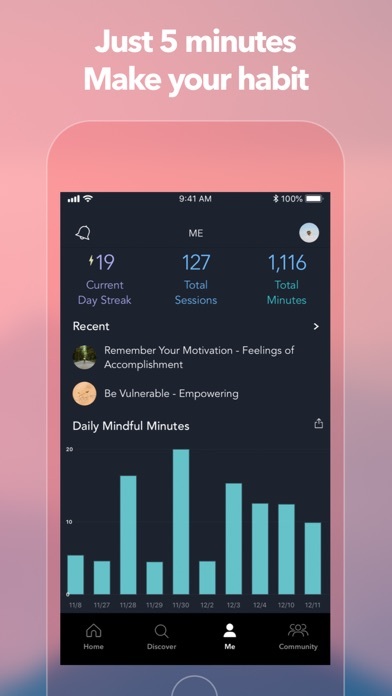 This app has helped me so much with my anxiety and I recommend it to anyone. More IOS Apps by Simple Habit, Inc.